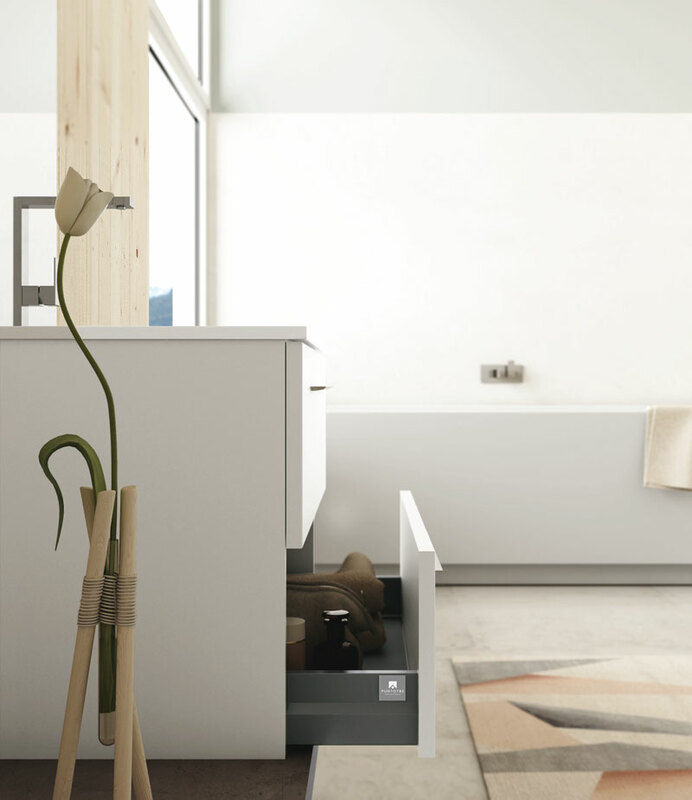 The vertically oriented configuration is a perfect interior design solution for awkward spaces. 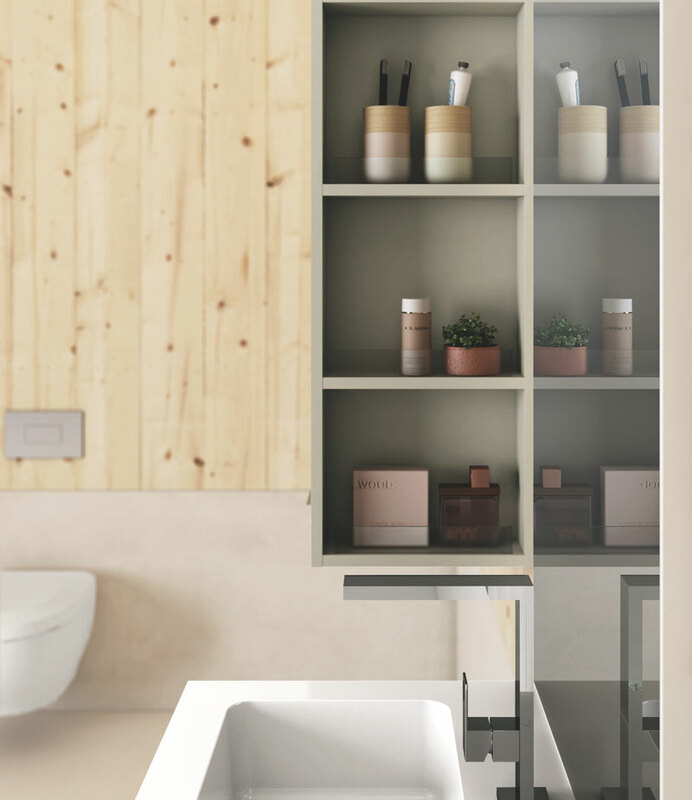 Its simplicity is given an extra dimension with the use of the shelf under the vanity made from Rocks Climb laminate, which reproduces the beauty of an oxidized surface with the aesthetic performance, strength and resistance only the latest generation melamine finishes can offer. 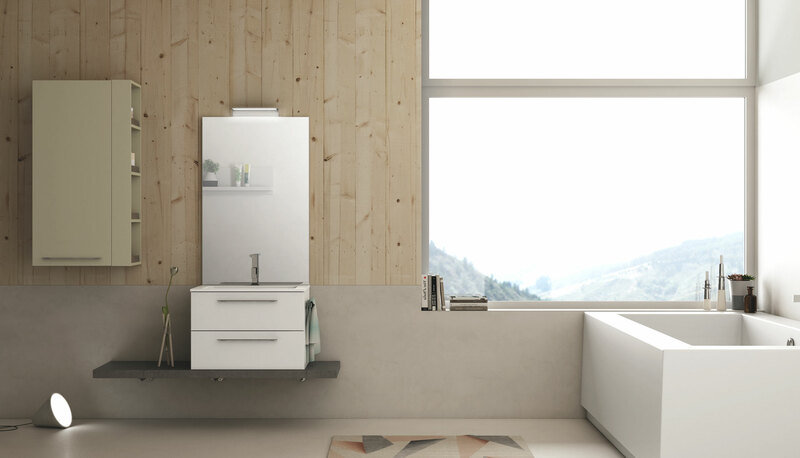 Both the wall-mounted base unit and wall cabinet have a matt lacquered finish, the former in white, the latter in silk grey. You can order the lacquered finish in matt or gloss, choosing from the 40-plus colours in the catalogue or from the full range of RAL colours.